Mazas There are 36 products. Mini club two heads with short handle. Measure 22 cm. Weight 98 gr. 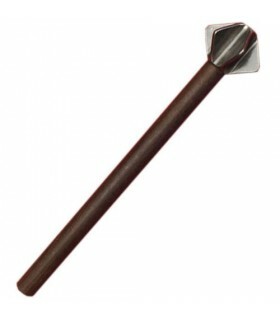 Wood panel beater Mod 195 (21 x 11 cm - 288 gr.). 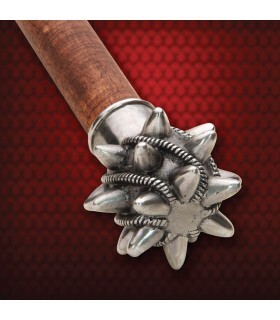 European Maza used by medieval knights XVI century jousting. total measured 120 cm. 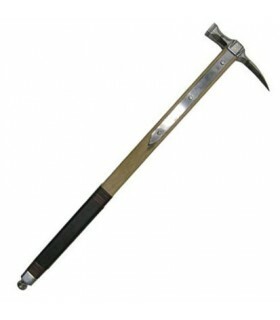 Handle 65 cm. Weight 1160 gr. 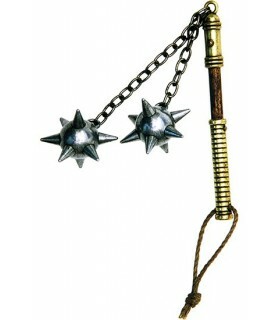 Mini mace two heads with handle means. Measure 36 cm. Weight 106 gr. 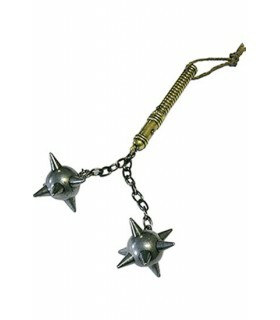 Mini mace two heads with handle means. Measure 25 cm. Weight 100 gr. 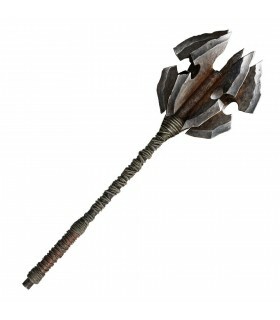 Mini three-headed hammer with a long handle. Measure 28 cm. 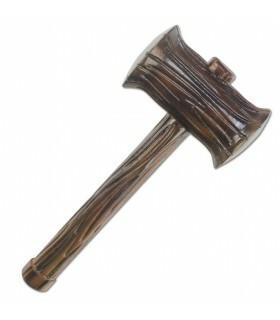 Weight 146 g.
Mini three-headed mallet handle medium. Measure 27cm. Weight 140 gr. 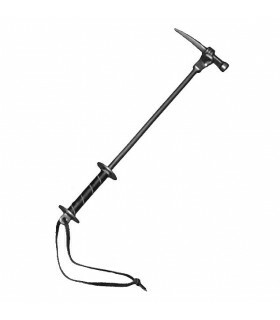 Mini club head with short handle. Measure 20 cm. Weight 58 gr. 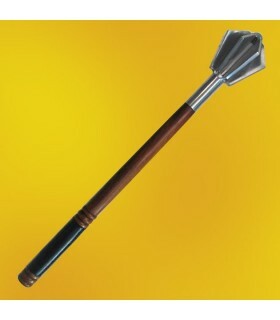 Mini club head with a long handle. Measure 34 cm. Weight 62 gr. Mini club with half a head handle. Measure 23 cm. Weight 60g. 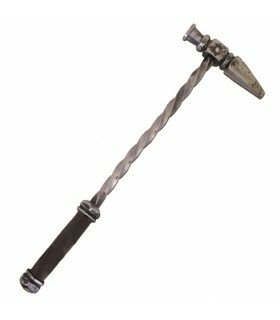 Hammer made in latex of first quality, ideal for LARP. Total size of 39 x 17 cms. 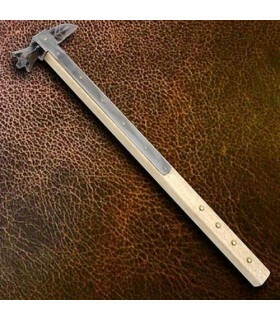 The width of the hammer head is 10 cm. 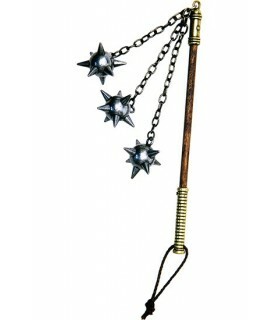 medieval ax, mace type, for riders. Made of steel. It is functional. 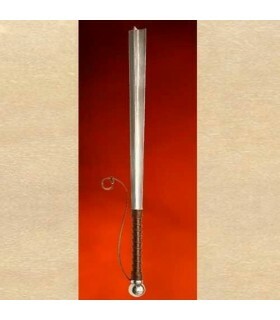 Length: 60 cms. 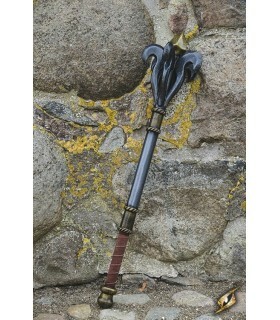 Medieval mace weapon forged in steel. It is functional. 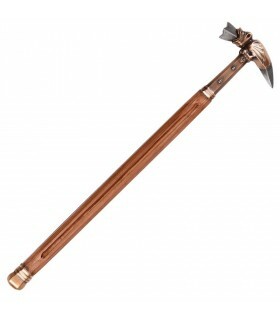 Weight: 0.8 kg Tamaño.- 60 cms..
Mini three-headed hammer with a short handle. Measure 23cm. 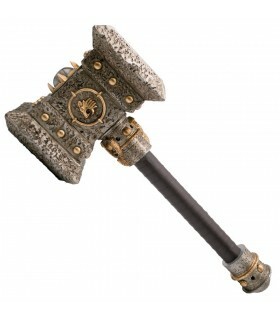 Weight 136 g.
Decorative hammer of Thor made of resin. 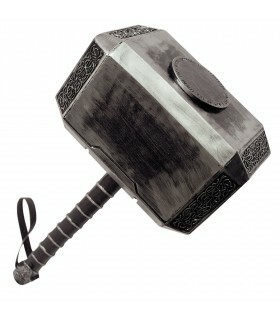 In Norse mythology, Mjolnir is the hammer of the god Thor. Hammer German War XVI century with a curious form of hand holding a dagger. 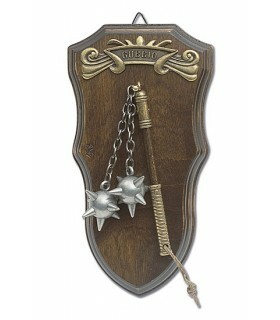 Made of brass, wood and steel. 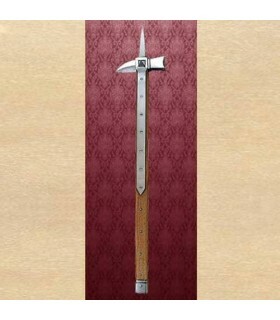 Italian warhammer of the fourteenth century. 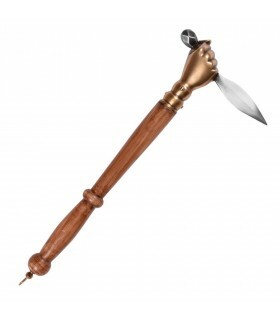 The head is made of brass and the wooden handle. Their mission was to break the armor of enemies. 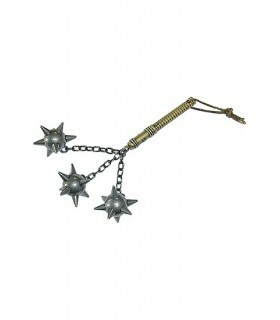 It was used until the 16th century in the wars of Europe, the Middle East and North Africa. 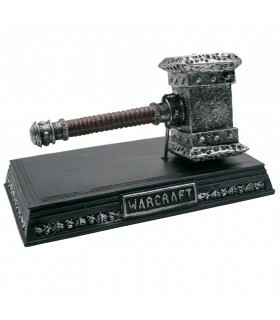 Warcraft Thrall hammer with display. Made of resin.Base dimensions: 25x13,5 cms.Dimensions Hammer: 19x10 cms. 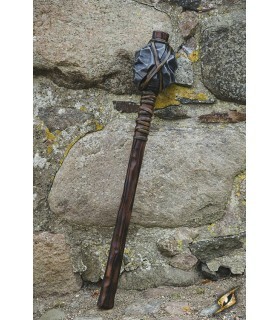 Medieval infantry mace forged in steel. 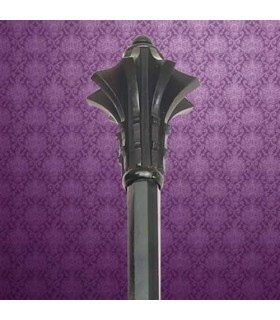 Our replica is completely decorative. 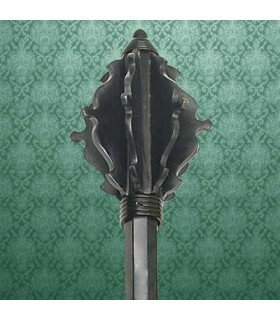 The original club can be found at the British Museum in London. 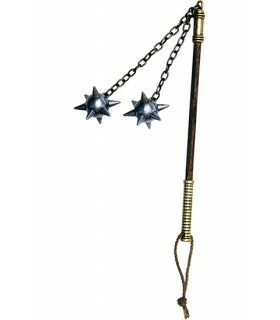 Mace Medieval in stainless steel with a wooden handle and leather and a long steel knob to bring balance. 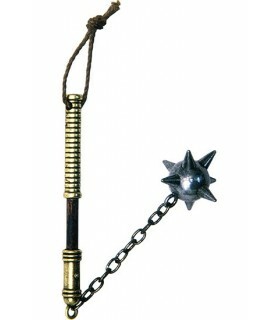 Replica of the mace found in the river Thames which was used in the whole of Europe. 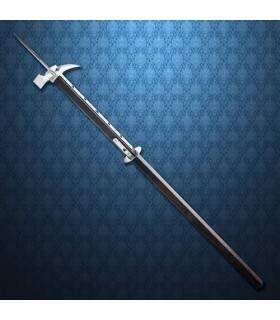 It was used in melee combat. Made by Windlass Steelcrafts®. 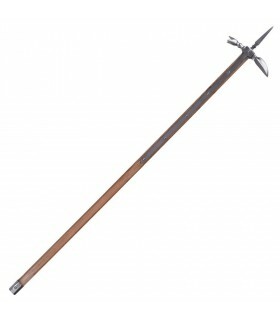 Sturdy War hammer English of the year 1430 was used to fight from the horse. 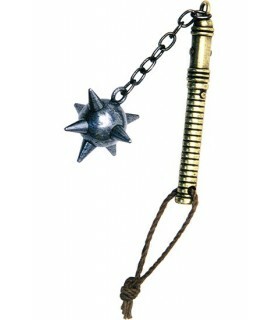 Lighter than a mace was the weapon perfect and the time is made longer. Made by Windlass Steelcrafts®. 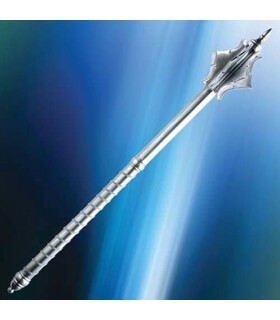 Mace medieval-inspired maces ceremonial of the nobles. 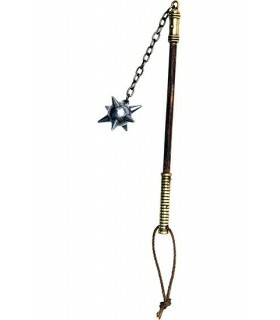 The mace has four outgoing golden, each one with 2 spikes and a decorative scalloped along the cane. 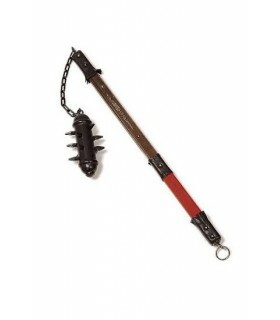 The handle is wrapped in black leather to provide a better and comfortable grip. 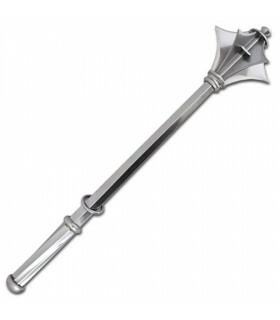 The mace is made of durable foam with a fiberglass core, and with a strong coating of latex. 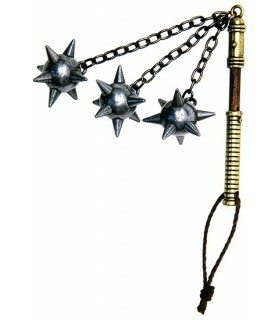 Mace-head of stone designed to suit a character completely immersed in nature. The ram has a small head of 20 cm. 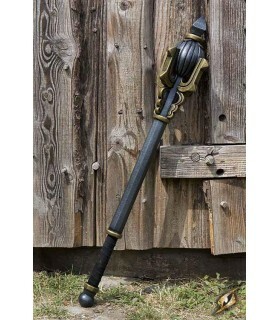 long, sculpted in a realistic manner and hand-painted to look like a rock tied to a stick.The mace is made of durable foam with a fiberglass core, and with a strong coating of latex.